The Internet's #1 Device To Stop Sneakers From Creasing! Comparison Pictures | Interviews | Product Details | & More! the internet's #1 device to stop sneakers from creasing!! 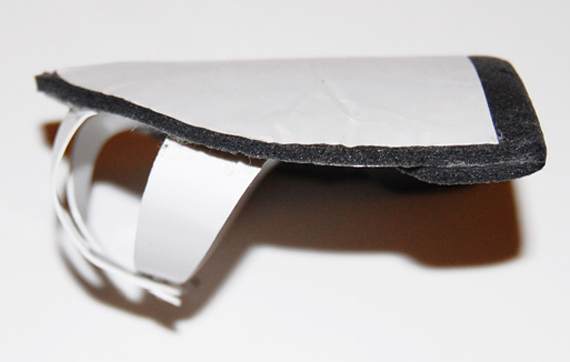 The DeCreaseR™ prevents creases in the toebox of sneakers (front part of shoes and sneakers) that occur after only just a few casual wears. The DeCreaseR™ fits virtually all sneaker styles including the Air Force 1, all Air Jordan & Jordan Retros, Court Force, Dunk & SB Dunk, Air Max 90, Air Max 95, Air Max 1, and other popular sneakers from Nike. The DeCreaseR also fits virtually all styles from Adidas, Reebok, New Balance, DC, Etnies, K-Swiss, Visvim, JB Classics, Greedy Genius, Creative Recreation, and many more brands. 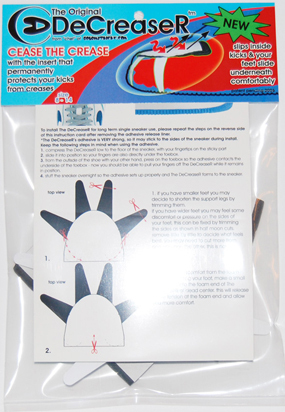 Here is a view of the actual packaging and appearance of The Original DeCreaseR. Check out this 3D view of how The DeCreaseR fits into your sneaker without cramping your feet or putting pressure on your toes. Check out this video clip I made showing how to properly install The DeCreaseR. You can listen to more about The DeCreaseR™ by clicking below. Weekly Drop's first ever 100% "SNEAKER-CENTRIC" episode featured Chef of GourmetKickz talking about The DeCreaseR™. If the boys of weekly drop covered it, then you know it's OFFICIAL! You will find all the information you need on this site to make an informed decision when contemplating the purchase of The DeCreaseR™. 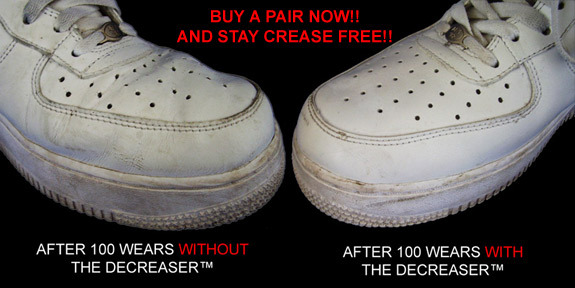 And be sure to tell all your friends about The DeCreaseR™ so we can all put an end to unsightly sneaker creases ! Feel free to navigate the site and read all about the benefits of The DeCreaseR™ and take a look at The Demo page for some compelling comparison pics. 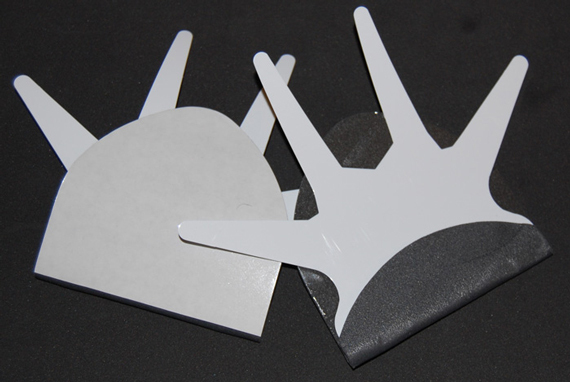 To purchase The DeCreaseR™ or Official DeCreaseR™ Sheets please head on over to The DeCreaseR™ Store. Please subscribe below for updates in my newsletter! 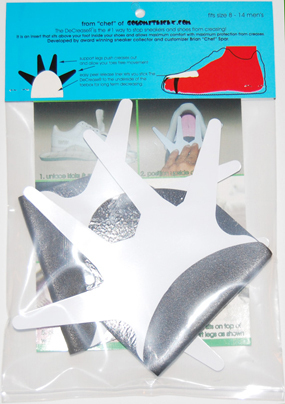 The DeCreaseR™ was invented by Brian "Chef" Spar of GourmetKickz and is currently patent pending.